Reflective Five on Friday | The Happy Wonderer ~ ellen b. Last Friday after I picked up my sister Vera from the airport we headed to Chihuly Garden and Glass in the shadow of the Space Needle in Seattle, Washington. 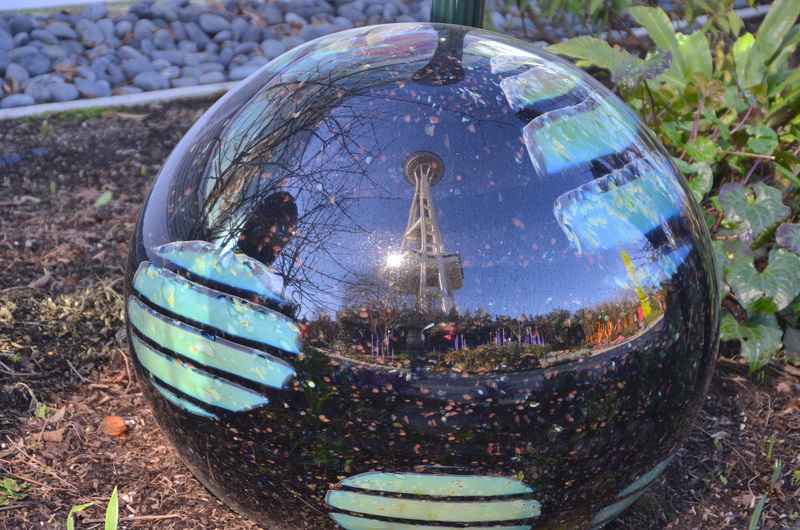 Here is the Space Needle in the background of a Chihuly Glass art piece in the outdoor garden. 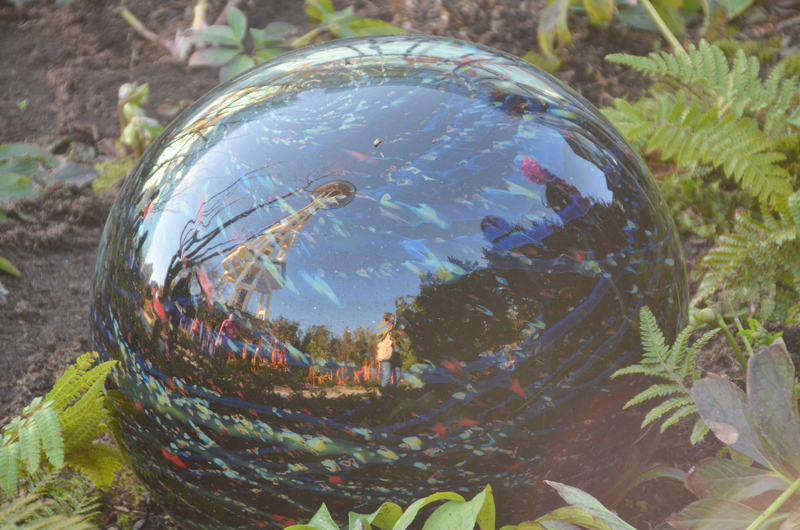 Now I’ll leave it to you to spot the reflections of the Space Needle in Chihuly’s glass balls that are in that garden. I shared some photos of the Chihuly Glass Museum earlier this week here. Thank you to Amy at Love Made My Home and to Susanne for Friday’s Fave Five for hosting these Friday parties. After I took my sister to the airport on Monday for her to flight back home we’ve been getting our winter pruning done at this old house. The Pear tree is done and the apple tree is half done. I finally trimmed the lavender way back the way I was told to do and my hydrangeas are trimmed, too. A local garden store is having a Hellebore event this Saturday with a discount on them and I’m thinking of adding another variety to my current plant. We have a quiet weekend except for the Super Bowl game on Sunday. 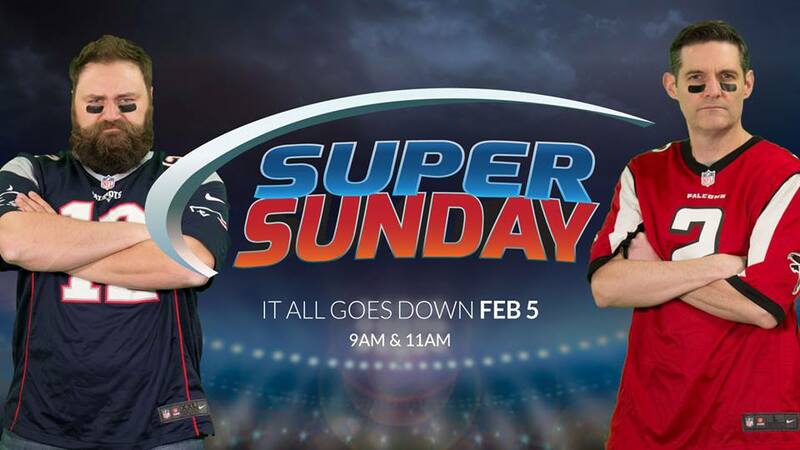 Our church has a great Super Bowl themed Sunday with 2 pastors going head to head in a sermon battle. Don’t know yet if we’ll have guests here to watch the game yet. Hope you all have a great Friday and weekend ahead! My Friday thankfuls #1 thankful for sister time. #2 thankful for talented artists. #3 thankful for accomplishing yearly chores. #4 thankful for quiet weekends. #5 thankful for my church family. Posted on February 2, 2017 by Ellen •	This entry was posted in Five on Friday, Seattle and tagged Chihuly Garden and Glass, Dale Chihuly, Friday's Fave Five, Seattle Space Needle. Bookmark the permalink. we spent one night there on our way to cruise Alaska and went up in the needle . It was sooo awesome..we really had a good time…so glad ya’ll did, too. Great art outdoors! That pink glass tower is so beautiful . Happy weekend! How spectacular! I will have to look on the internet to see what you can see from the top. WOW WOW WOW WordPress actually let me leave a comment today, I try all the time on your blog, this is fantastic, sorry for the second comment!!! When the Quimper Club met in Seattle a couple of years ago one of the side trips was to these gardens, sadly I wasn’t there, I think I missed a great treat! Now that’s somewhere I’d love to visit. I adore Chihuly’s glass pieces. We don’t have TV anymore, but I’m rooting for the Falcons!! I love Seattle. Your post makes me want to go back! Love the Chihuly glass garden. Very clever with the reflections! Happy Friday! 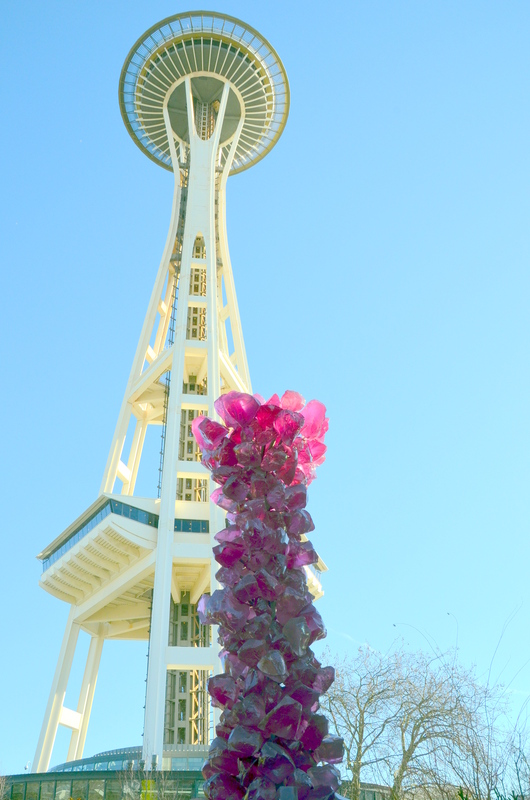 Great pictures of the needle reflections – love the blue garden one the most! Your church’s super bowl theme sounds very interesting! I really need to look into getting one of those Hellebore plants (wondering if I can grow them over here) – they are so pretty! Have a “super” weekend. There are several pieces of that artist’s glass at Mayo Clinic in Rochester, MN. Our youngest daughter was in treatment there for pediatric cancer. She is now 22 1/2 and living a wonderful life – thank the Lord. We always loved looking at it. I LOVE Dale Chihuly. I didn’t realize that his museum is right at the Space Needle. Hope to visit someday. And now I’m hungry for carnitas tacos, thanks to your description of the dinner and Dear’s pork. I’ll put that on next week’s list. You and your sisters do so many interesting things together… Sisters make wonderful friends. I remember that your pastors have fun with Superbowl Sunday. I went shopping this morning and it was so crazy busy I thought a storm was imminent. Nope. Superbowl and the Pats are playing. Carts filled to overflowing with the most amazing bunch of party food you’ve ever seen. Wish that I had had time to sit and cart watch. Ha! The world in a glass ball, how great is that! Hellebore I have too, different kinds in my garden, Sure, you find beautiful new plants. Beautiful glass and the reflections are like gazing into a crystal ball. I like the tall glass tower as it reminds me of a spire of delphinium flowers. Have a good weekend and enjoy plant shopping. Hellebores are some of my favourite winter plants. I love how you add what you’re thankful for to your posts. The Space Needle has a special place in my heart, thank you for showing it. Glad you have great things to be thankful for! Chihulys work is incredible isn’t it, I don’t think I could ever tire of looking at it! It would be interesting to see head to head sermons! 🙂 Glad your sister could come and you had a nice outing. I love quiet weekends. I enjoyed your photos very much. We will probably watch the game on Sunday. I usually make nachos for game day! The Chihuly Gardens and Museum sound so wonderful. We rarely get to Seattle, but it might be worth a trip. Great photos! Thank you for sharing the amazing photos of the Chihuly Gardens and Museum. 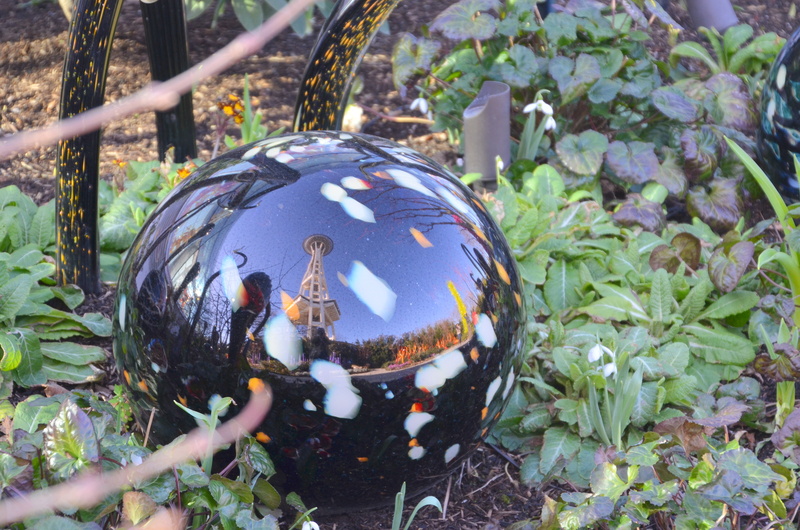 I loved looking for the Space Needle in all of the glass pieces in the gardens. What is ironic about this to me is that today while visiting my mother she was watching Let’s Make a Deal and one of the prizes they gave away today was to a hotel in Seattle and the package included tickets to the gardens and museum. The glass art is eye-catching and beautiful. I love the glass balls and art seemingly scattered in green spaces. The Space needle is a sentimental place to me, my husband proposed to me in the Space Needle after a lovely dinner while we looked out at the lights of Seattle and over the water. Sounds like a fun challenge, a preaching challenge. I’ve never heard of such a thing ! What a sweet memory of your wedding proposal! We have really enjoyed our Super Sundays the last several years. Keeps you on your toes during the dueling sermons! All good things, Ellen. 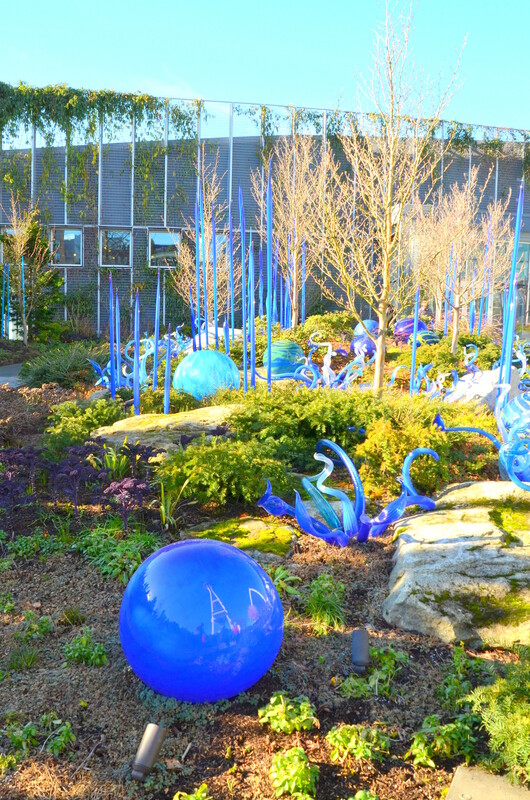 You inspire me to get the Chihuly garden on my list of places to visit! Enjoy your weekend, whoever you have to join you for the big game. Wow, that seems to be a very special place, the reflections are beautiful ! Great photos. Hope you enjoy the game. Seattle is so beautiful — I miss the PNW! Fun photos of the gazing balls. I say buy the plant for your garden. It’s cheap therapy! Enjoy the super bowl, with or without company. That glass garden looks very interesting. The superbowl sermon battle sounds like lots of fun!